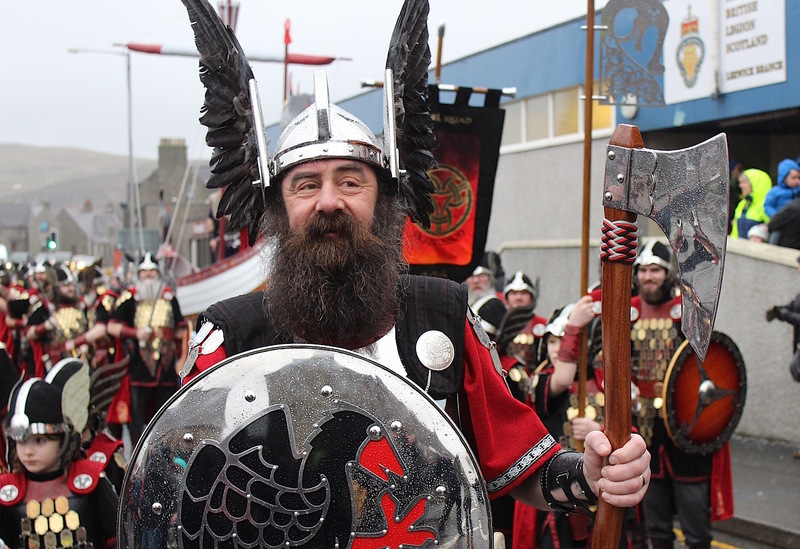 UP Helly Aa day got off to a splendid, dry start. At half past eight, a jubilant Jarl Squad paraded down King Harald Street. Their suits of ruby red and silver were resplendent against the grey January sky and the fiery tones in their shields added warmth to the chill of the morning. Half an hour later the weather was living up to its drizzly forecast. This did nothing to dampen the spirits of the rather soggy looking crowd standing outside The Legion, however, and apart from the occasional mutter of “Poor day!”, the overall mood was one of mounting anticipation. Bell’s Brae school teachers and pupils had braved the rain to take part in one of the highlights of their year. Sadie Fox and Amber Thomson (both Primary 5) were in agreement about their favourite part of the day: it was “seeing the galley getting burned”. Standing beside the galley he named after his daughter Lauren, Guizer Jarl Mark Evans said: “It’s been a big day so far. It has totally lived up to my expectations. Over at Lerwick Town Hall’s civic reception, the Jarl Squad took the opportunity to dry off and drink a warming toast to Up Helly Aa. Convener Malcolm Bell opened the reception by remarking how the festival seemed to come round more quickly each year. Bell had realised it was “that time of year again” when a “shifty looking man” arrived at his door with a large brown envelope containing pairs of fishnet tights for his two sons. 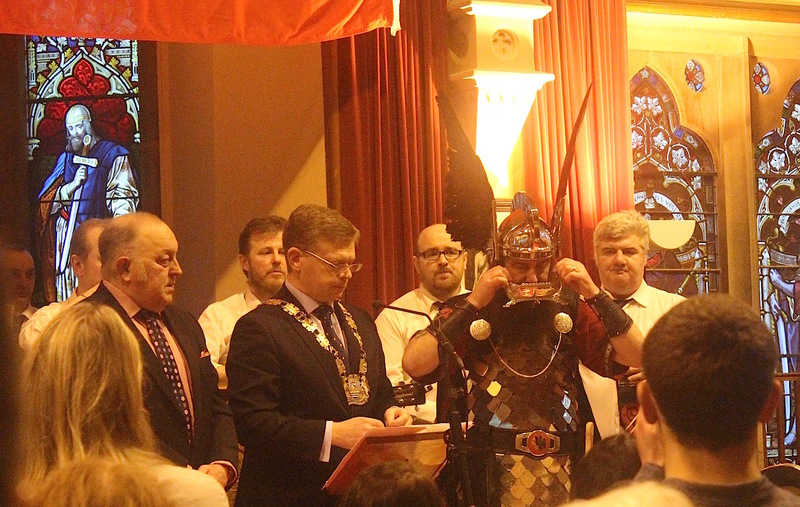 Bell went on to award the Jarl and his squad the freedom of Lerwick for the next 24 hours, warning them that any damage to the town would be billed to oil company BP, the Jarl’s employer. The reception concluded with a heartfelt, and at times emotional, speech from the Guizer Jarl. Evans described the experience of being Jarl as a “humbling feeling”.